A lot of rangeland in Nebraska is warm season dominate and is typically considered to provide on average 0.6 animal unit months (AUM) of grazing per acre. Photo courtesy of Troy Walz. A lot of rangeland in Nebraska is warm season dominate and is typically considered to provide on average 0.6 animal unit months (AUM) of grazing per acre. This estimate however, is developed from season long growing, which is typically June-October. Therefore, that amount of forage is not actually available early in the spring, such as early May, in this example. 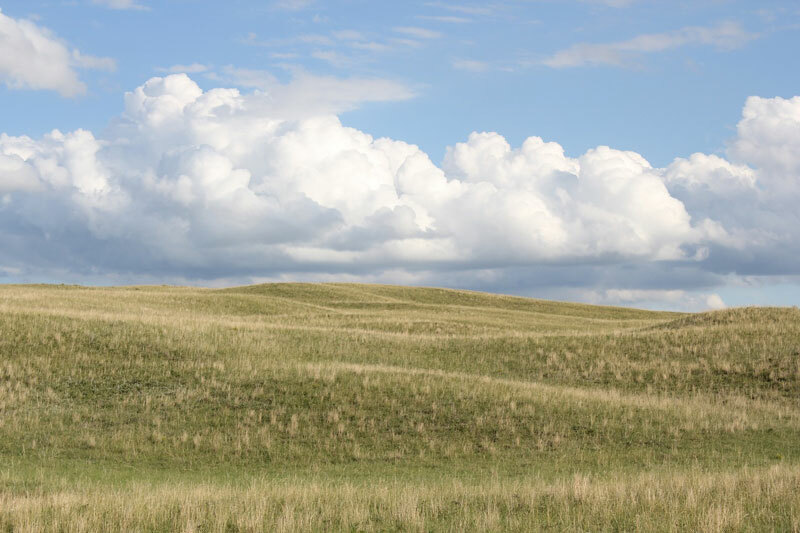 A light stocking rate in May on typical Sandhills range would be approximately .20-.22 AUM/acre while a heavy stocking rate during that time would be around 0.30-0.33 AUM/acre. This basically means that stocking at half the normal stocking rate in early spring is still too heavy which could have negative impacts on the future range condition, but could also negatively impact the expected performance of the cattle. A study conducted at the Gudmundsen Sandhills Laboratory near Whitman, NE utilizing esophageally fistulated cows indicated that at both 0.22 and 0.33 AUM/acre stocking rate, within one week of May grazing, cows began to select less digestible forage with lower protein than when initially turned out. Data from clipped forage samples from grazed pastures compared to ungrazed pastures indicated this was due to the fact the cows were eating more dormant, previous year growth as the month progressed. First calf heifers present a unique challenge to producers as these heifers have increased nutrient demands for both their own continued growth, the onset of lactation, and the return of estrus. If this growing, lactating heifer can eat ad libitum of this green forage, she can meet her nutrient demands. However, if the heifer is only able to get about half of her daily intake from this early forage and must get the rest from hay or dormant range, she will not be able to meet her nutrient demands. Providing 2 lb of supplemental dried distillers grains would provide the energy and protein the grazing did not. However, most producers find cattle first turned out to green grass often will not eat supplement, making it less effective. If producers are concerned about the nutrients available to meet the needs of the young lactating heifer grazing warm season dominated pastures this spring, managers could consider stocking at a lighter rate (around 0.20 AUM/acre), or retaining heifers in a drylot where nutrient intake can be more controlled for two to three weeks, giving the grass time to accumulate substantial growth and to adequately meet the needs of the young cow.